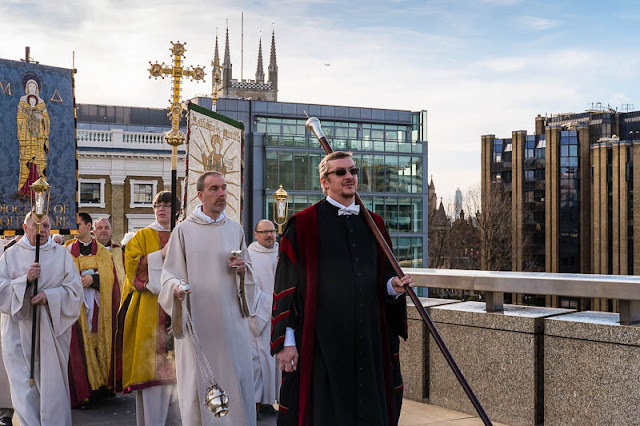 Another of those quaint rituals that occur in London that draws on ancient customs although in reality has only been practised in current times for little over a decade. 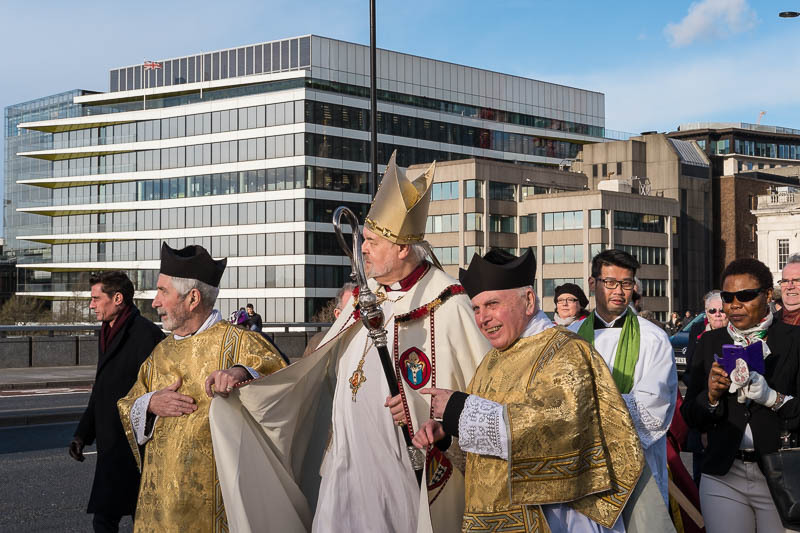 The clergy from Southwark Cathedral on the south bank of the river Thames head northwards over London Bridge, to meet the clergy from St Magnus the Martyr who head south from their church on the northern banks of the river. At the half way point (once they all meet on the same side of the Bridge)..
and they then all head off for a nice cuppa. 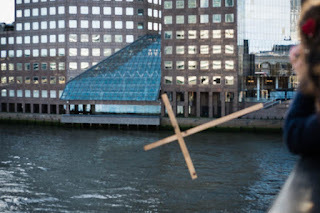 I strange tradition, will the Thames be grateful for the cross in its waters? Such fun! 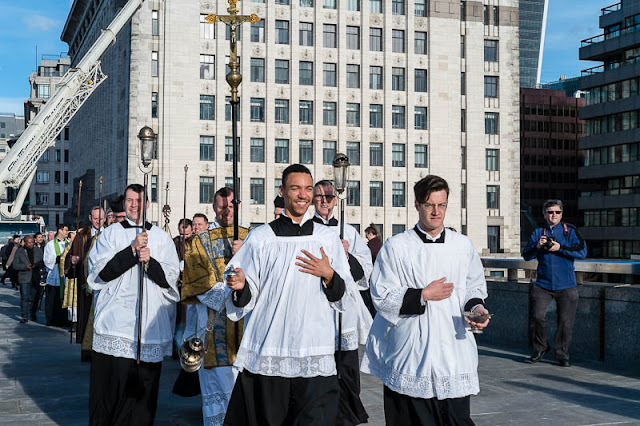 I've never heard of this ritual before! The British do 'tradition' better than anywhere Mo. This is one I hadn't heard of before. Very interesting. You could weave a little story around the 3rd photo (what does the Bishop have under his cloak?) Hope it's not a bad smell!!! Looks like they are having a good time and a happy event!